Hewlett-Packard CEO Meg Whitman is already trashing the barely-inked marriage of Dell and EMC. Why? 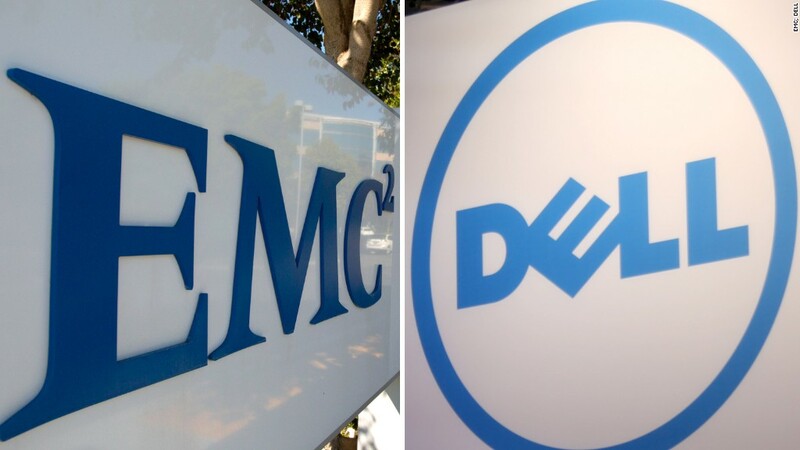 Because Dell's $67 billion acquisition of EMC (EMC) -- the biggest tech deal on record -- requires the combined company to take on an incredible amount of debt. Whitman, in a memo aimed at encouraging bummed-out HP employees, points out that Dell won't have much cash left over to spend on developing and working on new ideas. That's because it has to spend a whopping $2.5 billion a year in interest payments alone. "That's $2.5 billion that they will allocate away from R&D and other business critical activities, which will keep them from better serving their customers," Whitman wrote in the memo obtained by CNNMoney. The HP (HPQ) chief believes the Dell-EMC deal will be a "massive undertaking and an enormous distraction for employees and their management team." She pointed to "disruptive" efforts to merge the companies products that will cause "chaos." That's why Whitman is urging HP employees to "seize the moment" and arguing the big tech merger of her rivals will ultimately be a "good thing" for her company. Of course, Whitman is hardly an impartial witness to the mega tech deal. The new Dell is going to fiercely compete for business customers with HP Enterprise, which is splitting itself from HP on November 1. HP Enterprise, led by Whitman, will be focused on selling hardware like servers and also cloud technology, big money makers for Dell and EMC. HP has been struggling mightily. Last month HP said it plans to eliminate another 25,000 to 30,000 jobs. The company has announced up to 85,000 job cuts since Whitman became CEO in 2011. To pull off the EMC deal, Dell could be forced to raise up to $40 billion on Wall Street, FBR Capital Markets analyst Daniel Ives estimates. Dell and EMC did not disclose financing specifics. The combined entity will have roughly $50 billion in gross debt on its balance sheet, Ives estimates. That's a ton of debt, especially for a mature tech company. "This is unprecedented territory," said Ives. But both companies generate tons of cash, which makes them attractive to bond investors. EMC's balance sheet is currently sitting on $13 billion in cash and short-term assets. Dell said the combined company will "focus on rapidly" paying down debt in the first 18 to 24 months after joining forces. "They are cash cow businesses. The worries about the deal are more about integration and putting the company together," said Ives.